I am Emily A.P. Mulica (though I use my maiden name, Emily Palm, as my nom de plume), a freelance writer with an emphasis on human-interest profile, environmental, outdoor and adventure writing. 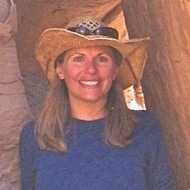 I have over a decade of experience as a journalist, with work published in The Christian Science Monitor, Women's Adventure Magazine, The Aspen Times, Headwaters Magazine, and more. I wrote a ski column called Steep Shots, published in The Fort Collins Coloradean and the Summit County Citizens Voice. Before delving completely into freelancing, I worked as a reporter for the Teton Valley News where I wrote most feature cover stories as well as covered a variety of beats including local government, sports and lifestyle.